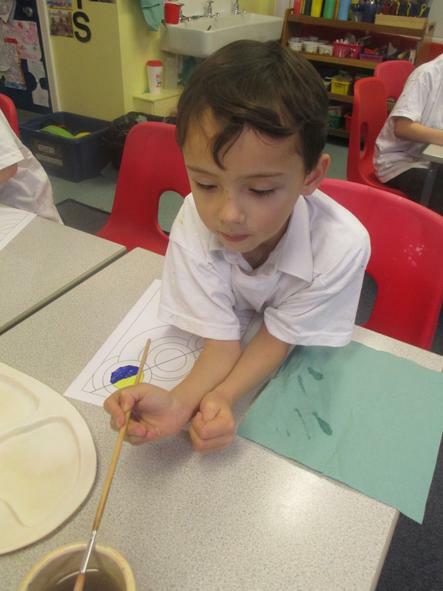 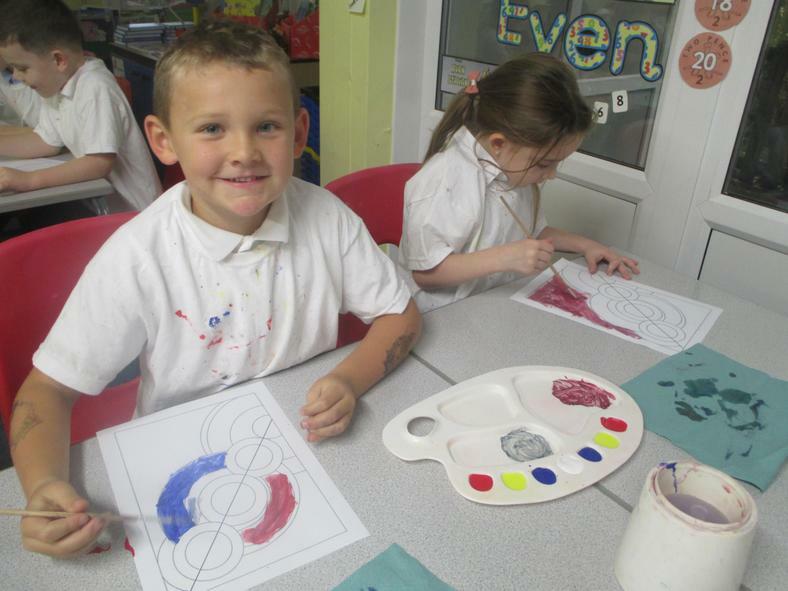 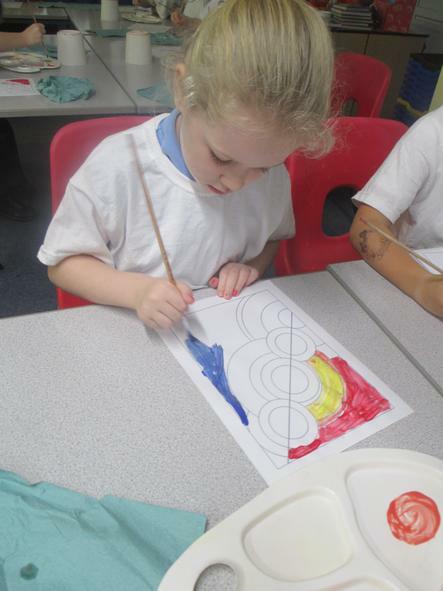 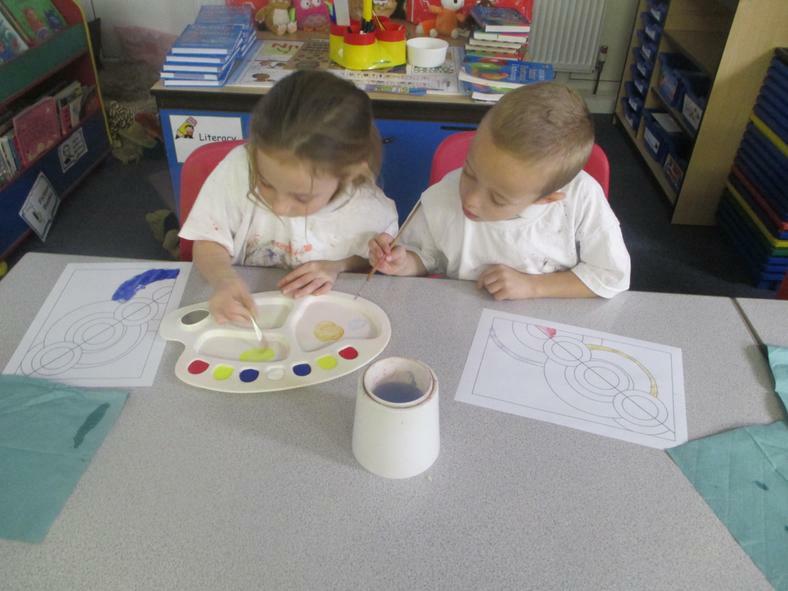 The children are enjoying mixing tints and shades using primary colours. 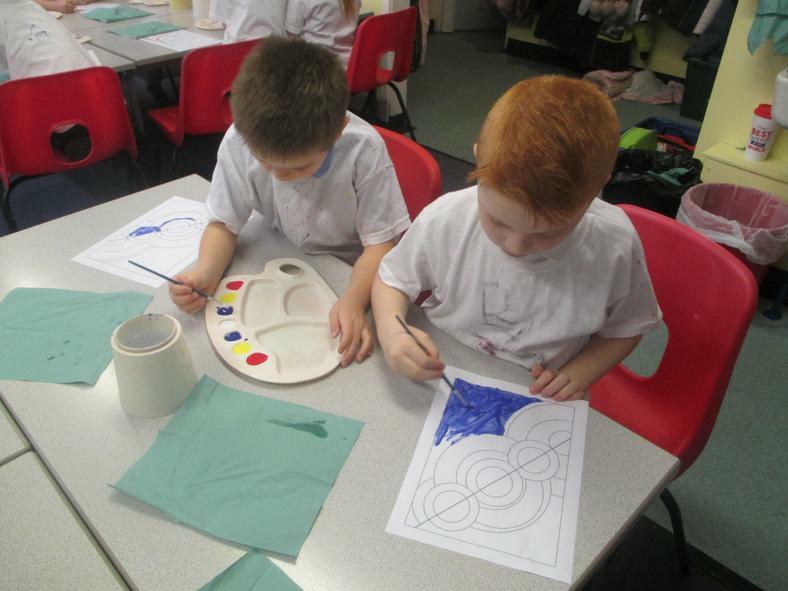 Robert Delaunay invented a new style of painting called Orphism which is a kind of abstract art that uses very bright colours and lots of simple shapes. 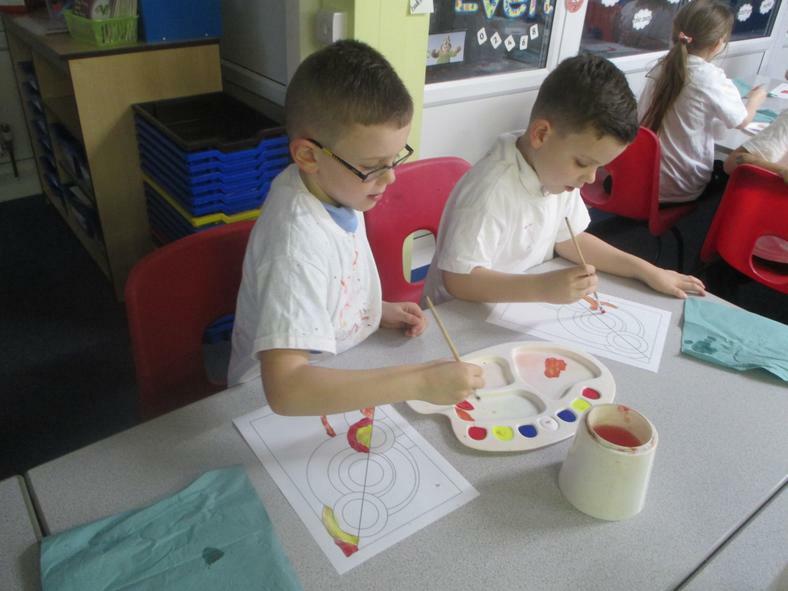 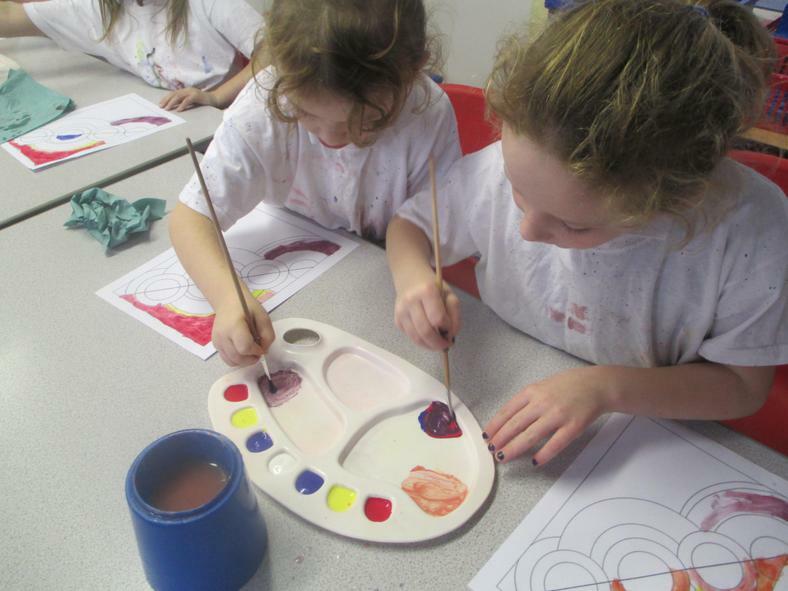 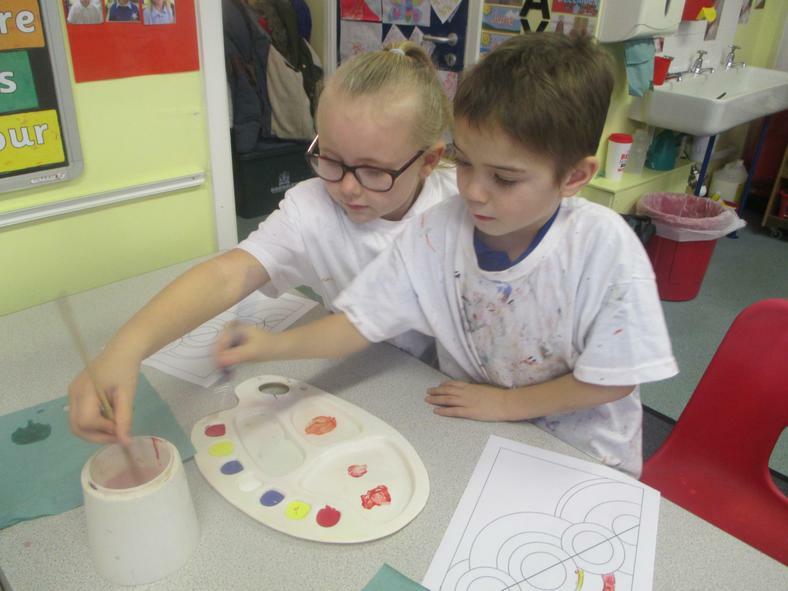 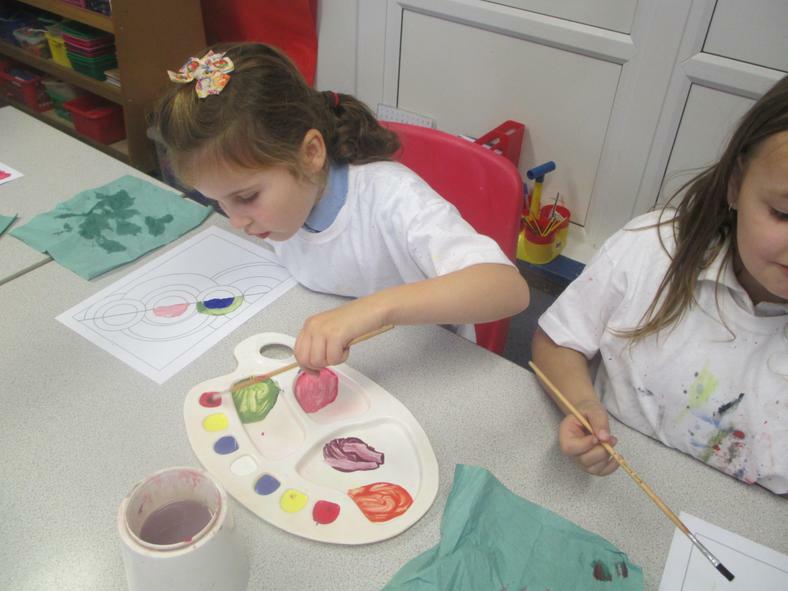 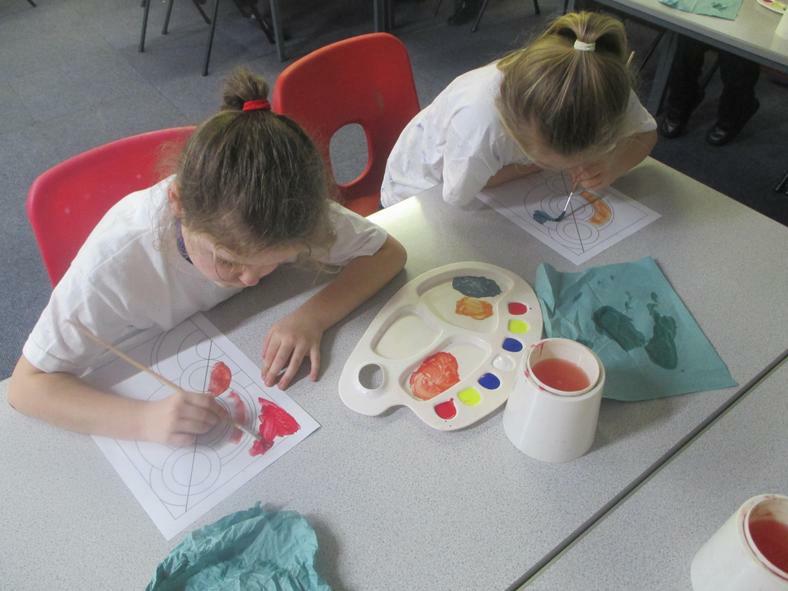 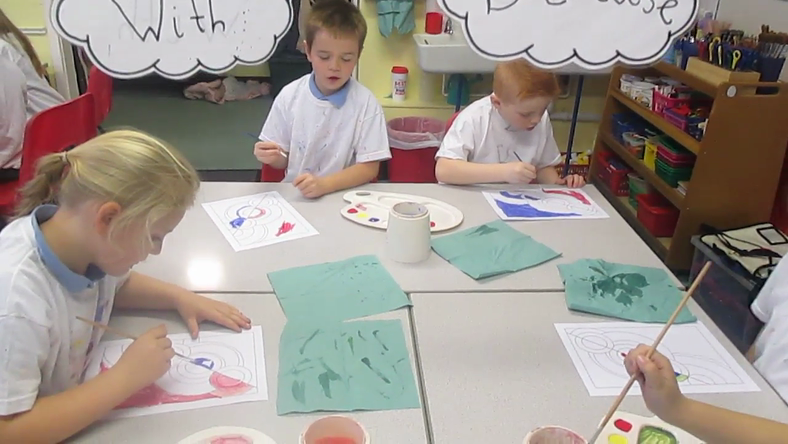 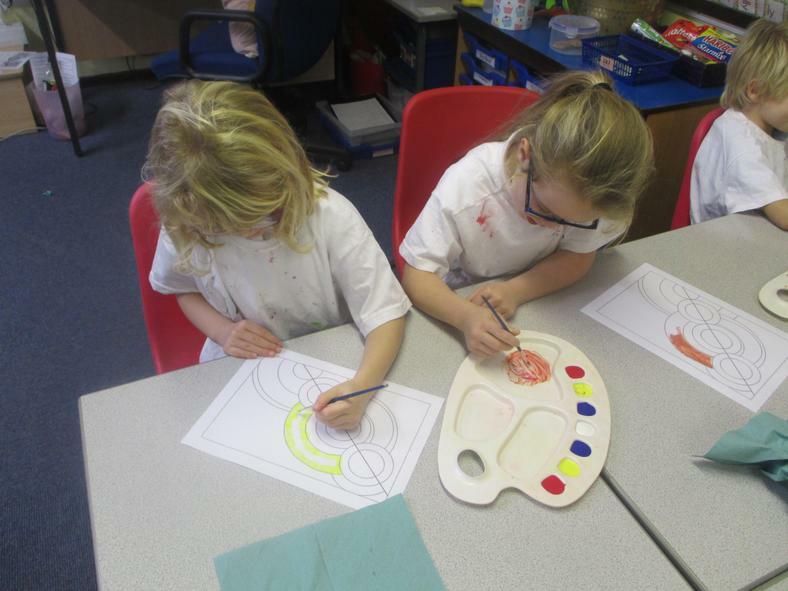 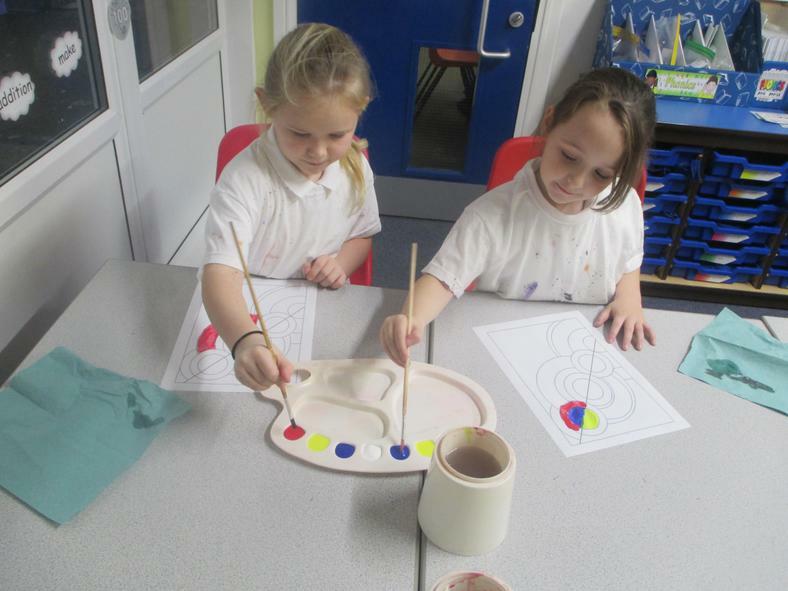 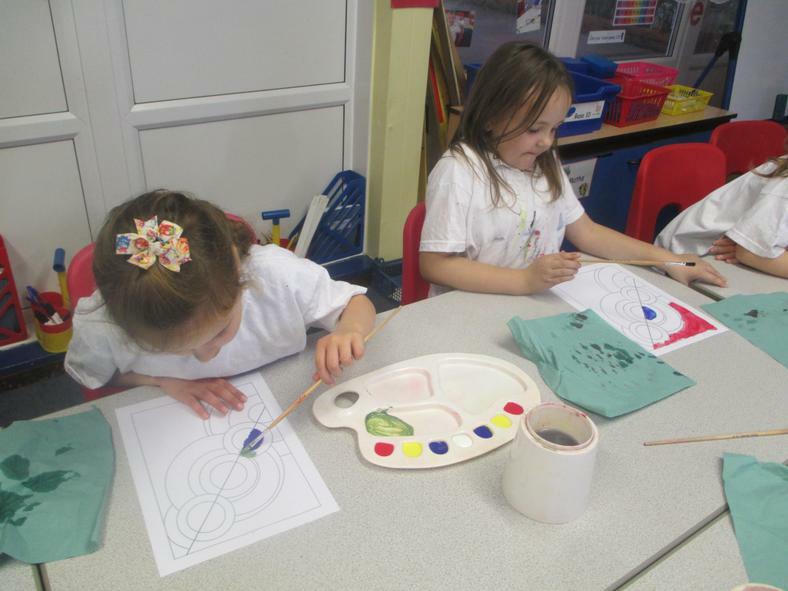 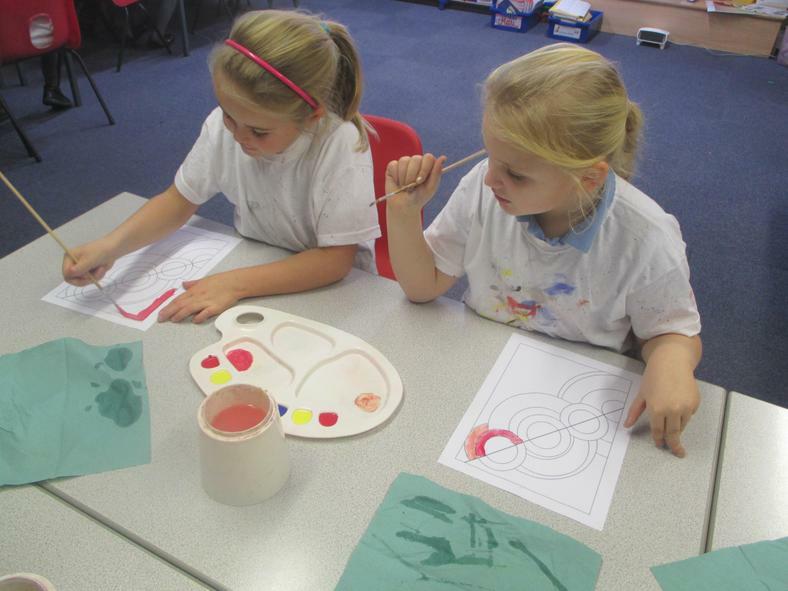 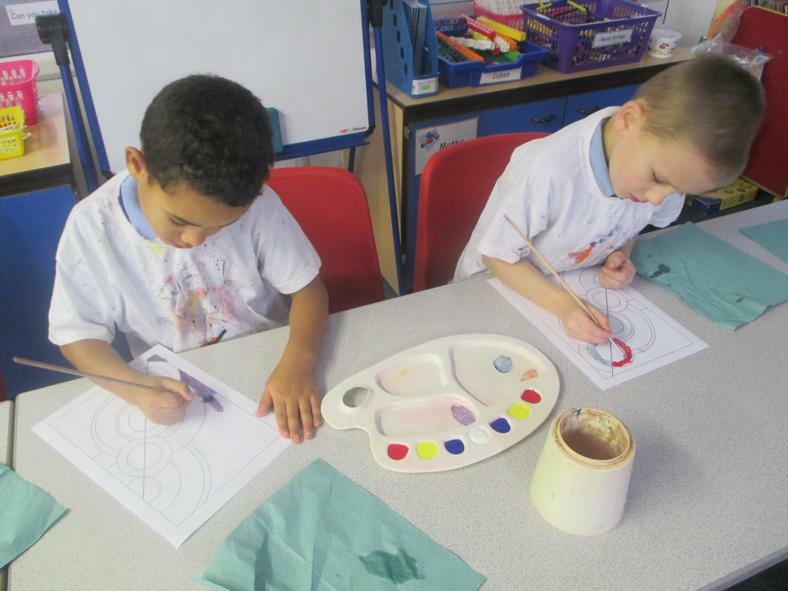 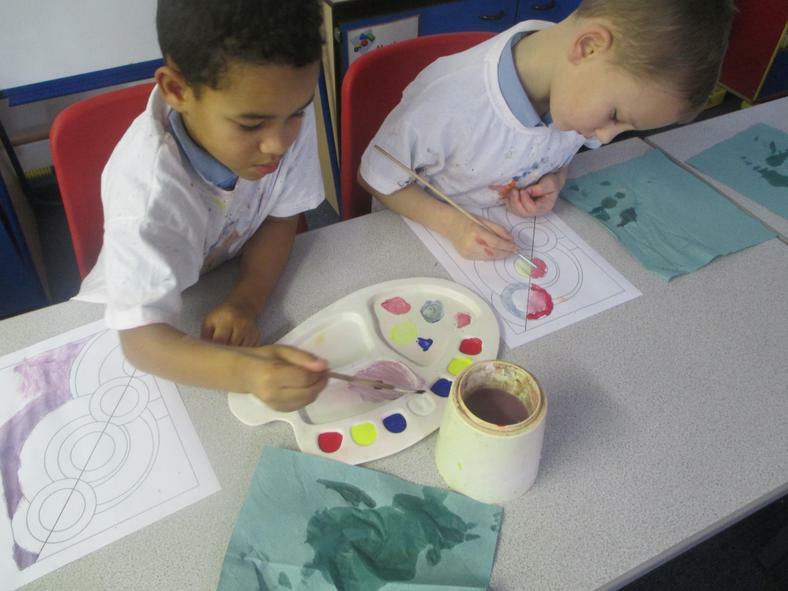 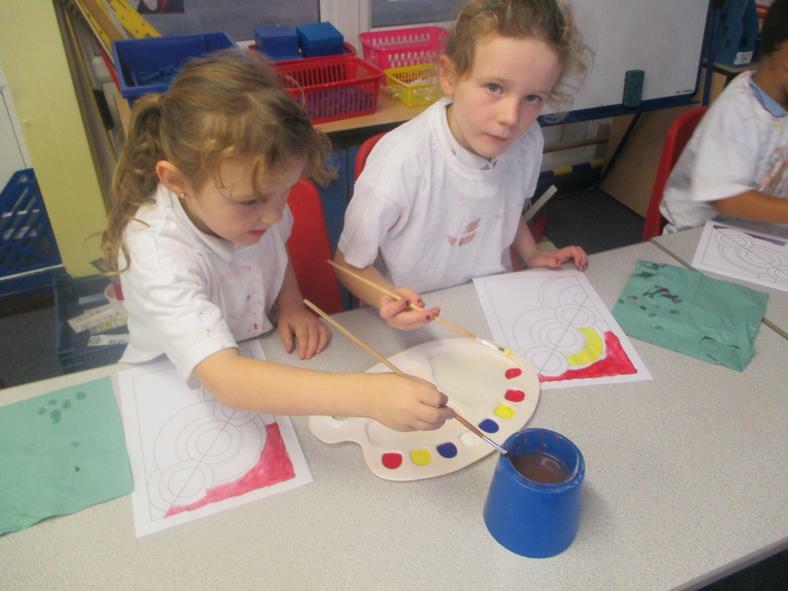 Here are the children creating their own paintings mixing warm and cool colours using the primary colours.